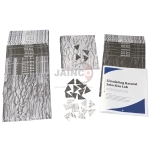 Jainco is renowned Genetics and Inheritance Equipments, Genetics and Inheritance Equipments Manufacturer, Genetics and Inheritance Equipments Suppliers, Genetics and Inheritance Equipments in India, Genetics and Inheritance Equipments Exporters in India, Genetics Equipments, Inheritance Equipments Manufacturers in India. 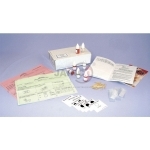 This ABO-Rh Blood Typing Kit allows your students to:- Experiment using blood (Real blood is not used). Rh factor determination. Uses artificial blood and sera. Introduce your students to the Five Kingdoms through the process of classification. A fun way to learn about biodiversity. Students prepare their own microscope slides, using the plant tissue, to view actual cells in different stages of mitosis. 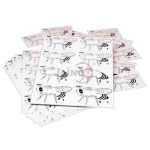 Includes 15 sheets each, with snap apart features showing male and female and 4 types of fruit flies. 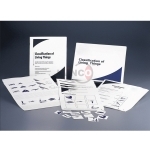 Study the patterns of inheritance and the genetic probability of easily observed and tested traits. Haemocytometer, Improved Neubauer Pattern for estimating particles in suspension. 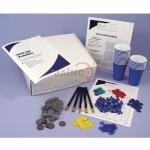 They can represent disaccharide and polysaccharide molecules in demonstrating carbohydrate metabolism. 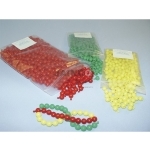 Poppit beads are a useful laboratory modelling unit. 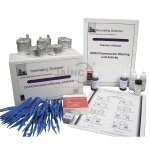 They can represent disaccharide and polysaccharide molecules in demonstrating carbohydrate metabolism. 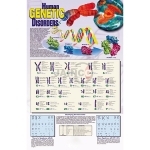 A visual guide to the human genome Detailed view of all 23 human chromosome pairs and the location of the genes which cause some of the most common genetic disorders discovered, to date, as part of the Human Genome Project. 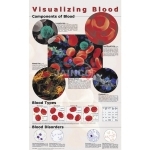 Vivid illustrations detail blood types, agglutination and clotting. Explore how genes respond to their environment Use a safe, commonly found microbe to investigate and predict the effect of temperature on gene regulation and expression.